The Sun in Scorpio drew you into the depths, but now it's time to emerge from the Underworld and notice the big, beautiful world out there. The Sun moves into the outgoing, enthusiastic fire sign of Sagittarius on November 22, 2018, and it's all about pushing beyond limits, borders, and boundaries. 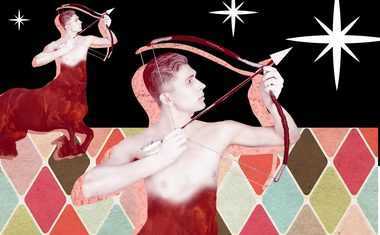 Globe-trotting Sagittarius is represented by the Archer, who shoots his arrows out into the world -- usually several at the same time and in all different directions. This is a time for exploration and expansion, with a potential for over-extension and over-indulgence. Sagittarius is considered the most lucky zodiac sign, naturally attracting and spreading good fortune and easily bouncing back from the occasional misfortune. The American holiday Thanksgiving falls during the Sagittarius season, reminding us that by noticing what we're grateful for, we generate more abundance and blessings. Find out where you're ready to expand, explore and take a leap of faith by looking up your zodiac sign below. As a fellow Fire sign, you can easily embrace the high energy and enthusiasm available this month. In your 9th House of Travel, the Sagittarius Sun stirs up your desire to stretch your mental and physical boundaries and discover new territory. You're full of big ideas and the confidence to act on them -- which you can do best when you focus your intention with precision. Commit to a grounded plan of action for expanding your life and achieving your idealistic goals. Lighting up your 8th House of Intimacy, the Sag Sun invites you to broaden your emotional horizons and take the risk of connecting more deeply with others. Merging energy and resources with trusted allies leads to unexpected opportunities for expansion. To take full advantage of the energy available, you may need to let go of old beliefs about yourself and your potential. What story are you telling yourself about your power? It could be time for revision. 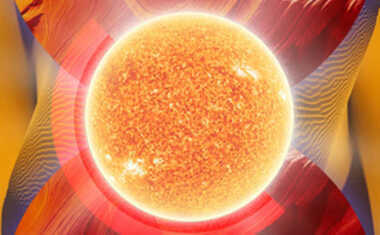 You're likely to attract spirited friends and playmates this month, with the Sun energizing your 7th House of Partners. While your confidence is high in the relationship realm, take the risk of reaching out -- if you lead with your sense of humor, you'll have the best chance for success. Great self-awareness is available now through your connections. In case of any conflict, take the high road see it as an opportunity for greater honesty and depth. You may be busier than usual this month, with the excessive Sag Sun in your 6th House of Work and Duties. With a positive attitude and sense of humor, all this busyness can be energizing rather than draining -- just try to stay present and focus on one task at a time. Now is also an auspicious time to improve your health. If you've been thinking about starting a new diet, exercise routine or other self-care habit, you have the cosmic support to make it happen. In your 5th House of Self-Expression, the Sun fuels your creative fire and ushers you into the spotlight. You have the opportunity now to get in touch with the source of your inspiration and reenergize your artistic vision. Making time for the activities that feel like fun and bring you into your heart will help you access the abundant creative energy. Romance is also highlighted this month -- and luck is on your side -- so make a move! The Sun visits the deepest part of your chart -- the 4th House of Foundations -- to expand your base of inner and outer support. You can now get a higher perspective on what security means to you, and a new vision for how to go about achieving it. Notice the elements of your life that feel nourishing and sustaining -- and those you might have outgrown. Expressing gratitude for what and who in your life support you helps build a stronger foundation. In your 3rd House of Thinking, the Sag Sun fires up your mental realm with brilliant ideas and an optimistic attitude. Speaking, writing, learning and teaching are all on the front burner for you this month, and are all activities that can fuel your inspiration. When you take the risk of sharing your vision, you open up the opportunity to connect with like-minded allies. Your intuition is stronger than your logic right now -- trust it! Opportunities to expand your income abound, as the Sun lights up your 2nd House of Resources. You can now strengthen your base of financial support and build greater security for your future. Of course, because you're feeling more abundant, you may also be tempted to spend more than usual. Your approach to money -- both spending and saving -- can be a great learning experience for you now, revealing your true beliefs and values. Happy Birthday, Sagittarius! The Sun in your home sign signals the start of a brand new cycle, as it visits your 1st House of Identity. It's time to expand your sense of who you are and what's possible -- and to take a risk towards bringing this new vision of yourself into reality. Think about the story you want to tell about your life one year from now. Trust that your desires are leading you to the adventure that best serves your highest purpose. With the Sun in your 12th House of Dreams and Spirit, this month's expansive energy permeates your inner world. Your intuition is stronger than usual, and you can more easily access guidance from the invisible realm. To tap into this rich and rewarding source of wisdom, spend time in solitude and pay close attention to your dreams. The inspiration you gather now will serve you well when you're ready to come out of the shadows next month and start a new cycle. Igniting your optimism about the future, the Sun visits your 11th House of Hopes and Wishes. It's time to expand your personal vision as well as your ideas about how to make the world a better place. Connecting with people who can help you reach your lofty goals is easier than ever this month, as your magnetic powers are amplified. Make the most of this lucky time by networking and participating in group activities. The auspicious Sag Sun lights up your 10th House of Career and Public Image, inspiring you to take risks in your professional life. You now have the opportunity to get a higher perspective on your work in the world, and to discover what success really means to you. If you've been longing to take your work in a new direction, now is the time to make your move. The hard work and extra responsibility this month will result in big rewards later -- be patient.